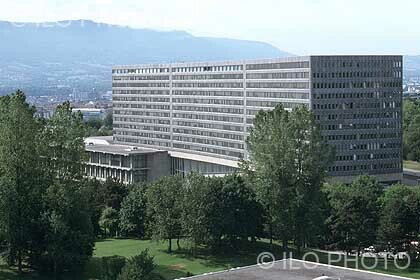 The International Labour Organization (ILO) is recruiting two senior translator/revisers in French, to work in Geneva, Switzerland. The position is located in the French Translation Unit of the Official Documents Branch (OFFDOC) of the Relations, Meetings and Document Services Department (RELCONF). OFFDOC is responsible for the editing and translation of all official ILO documents, including those submitted to the International Labour Conference, the Governing Body, Regional Meetings and Sectoral Meetings as well as documents produced by the Office of the Director-General. Applications deadline: (midnight Geneva time) 2 February 2014. Applications are currently being accepted. For further information click here. Disclaimer: The above does not contain all details of the job opening and is provided as a heads-up only. Please refer to the ILO website for all information.